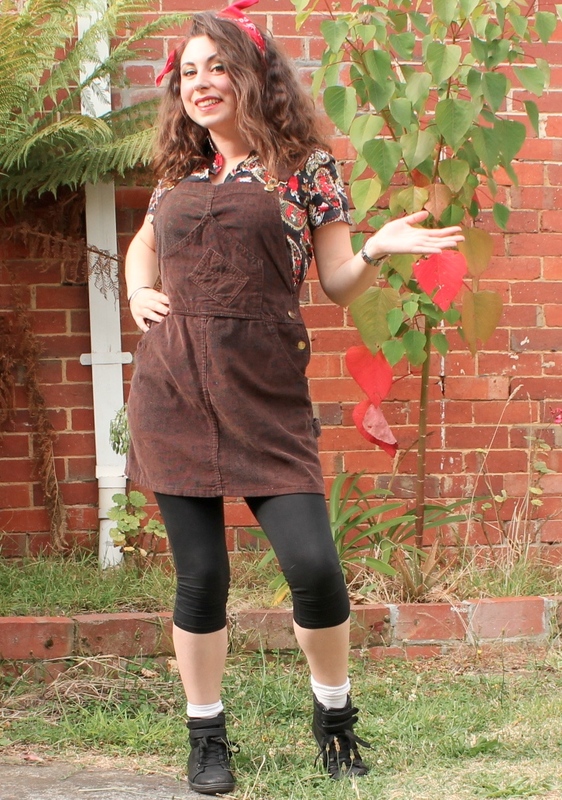 How do you dress up in 80’s style? Let me show you! 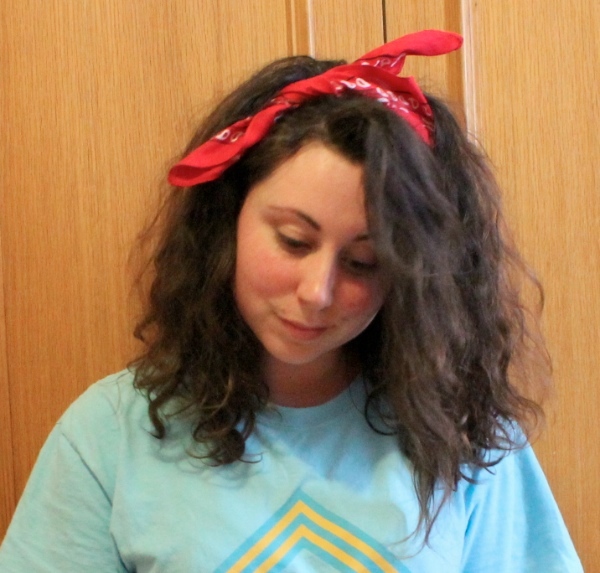 I recently attended an 80’s party and went through the process of searching for the perfect 80’s outfit and boofing out my hair to 80’s mega proportions. Wash your hair and turn your head upside down while you scrunch lots of mousse in the roots. This will give you volume and texture for when you back comb it later. It’s all about the products you use that make 80’s hair so big. 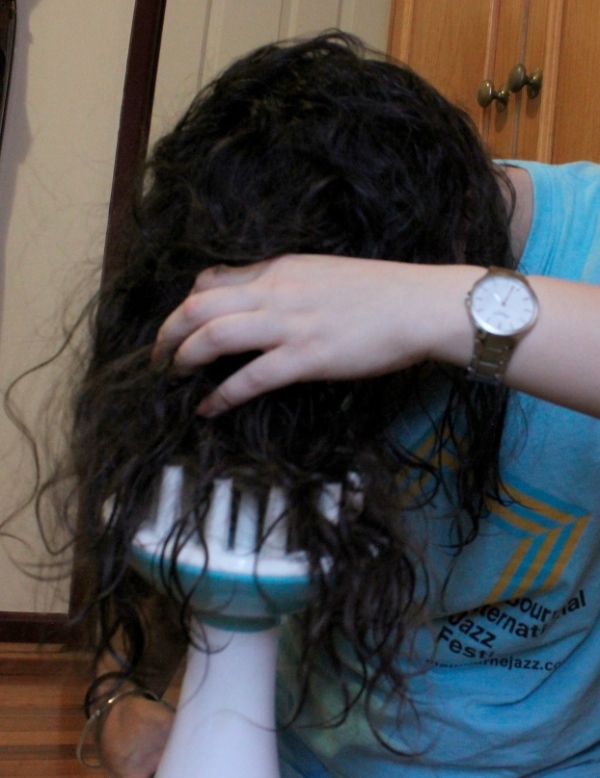 After I applied the mousse, I blowdryed my hair upside down with a diffuser attachment. Diffusers space out the hot hair and dry a little slower with less pressure so it helps to make curly hair even curlier or add volume to roots if you have short hair. 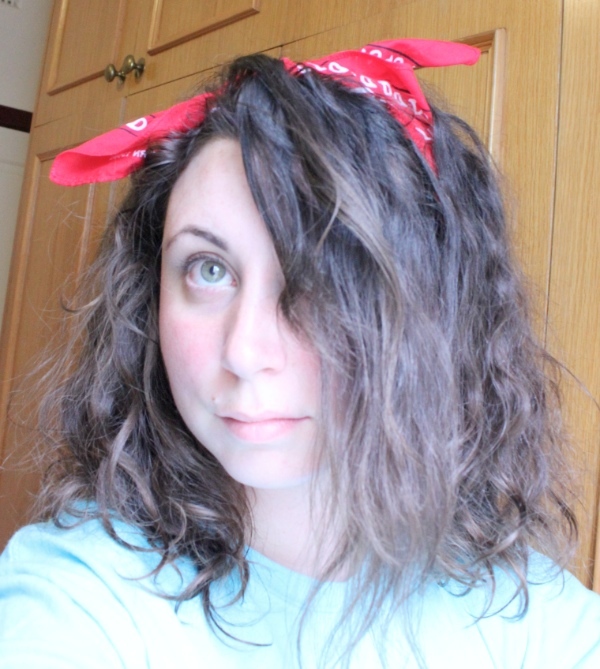 I have naturally curly hair so it made it easy for me to get it to crazy big 80’s volume. If you have straight hair, I would recommend using a curling iron or bendy curling rollers to curl your hair really tightly after adding the mousse to the roots. Don’t forget to spray about half a can of hair spray all over your hair and don’t be afraid to comb, comb and comb that hair back to boof it out anyway you can. Use more mousse or curling gel to scrunch the hair as you use the diffuser to get bigger, fluffier curls. 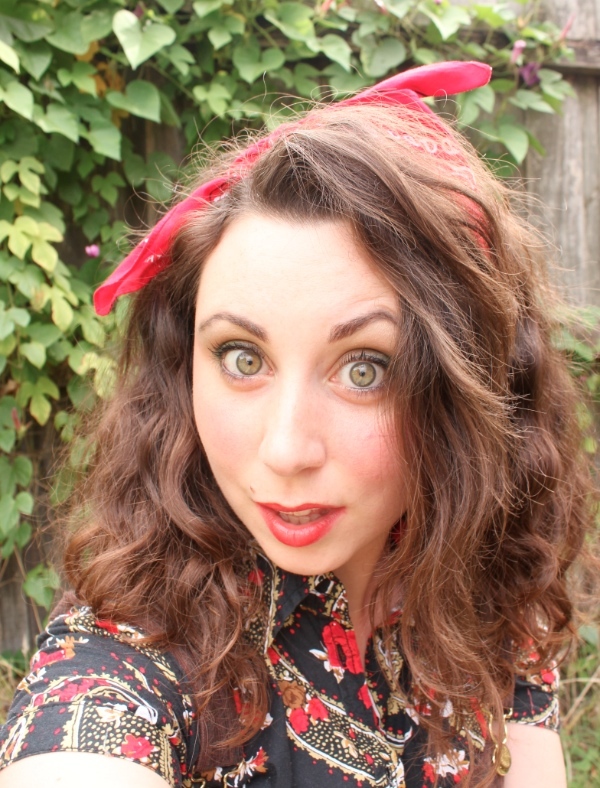 Put a bandanna or a scarf in your hair for a super 80’s look and to help keep your crazy 80’s hair out of your face. Time to pump up that fringe 80’s style! Spray your fringe with hairspray. LOTS of hairspray! 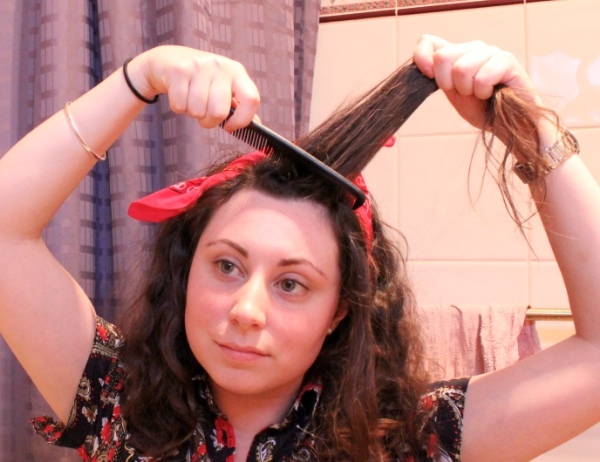 Take a comb and back comb down the hair towards the roots. Your fringe will get nice and puffy and then you can gently comb it a little smoother while still maintaining the volume. Try and puff it out into a round fringe if you can! PRO TIP: 80’s fringes were huge and stood up tall! To get this look lay your fringe out flat on your bathroom bench with your nose on the bench too. 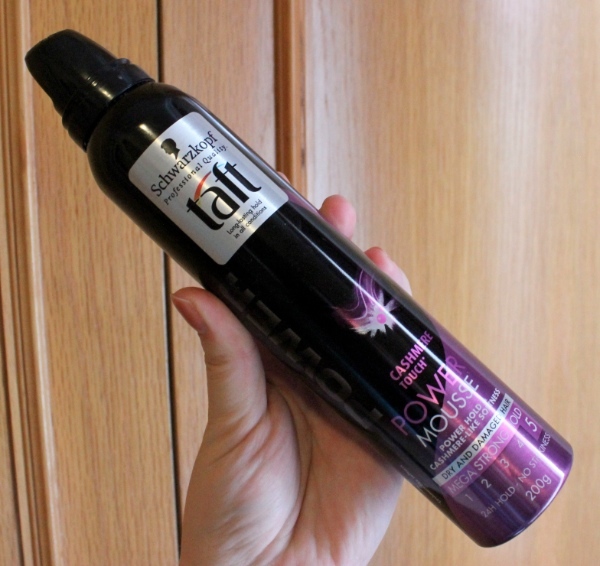 Spray your fringe with so much hairspray that it sticks to the bench and is very stiff. 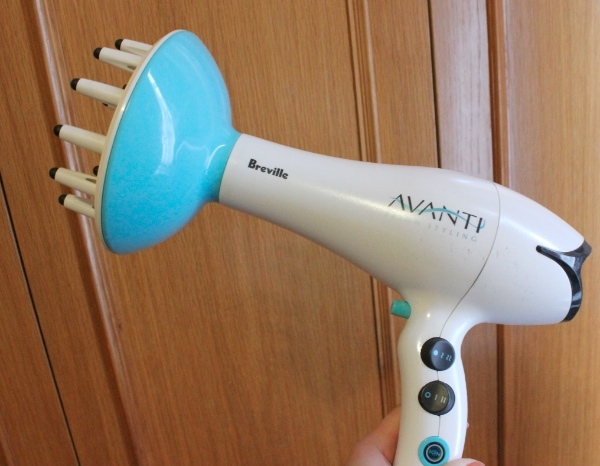 Back comb to your hearts content and watch your hair go heavenwards! Colour and lots of eyeliner is where it’s at! I wanted an authentic but not too over the top look so I lined my eyes top, bottom and in the water line. Think Princess Diana… and Madonna of course. I used Stilla Smudgestick eyeliner. 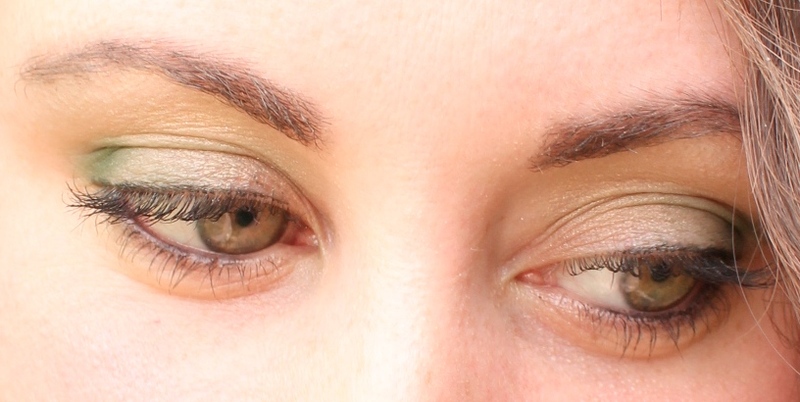 For my eyeshadow I used an Inglot light gold eyeshadow all over my lids and then used emerald green in the far corners to give a subtle 80’s look and make my eyes pop. A lick of mascara, red or bright pink lipstick plus some dark eyebrows and you’re done! I went a little street punk in my style. 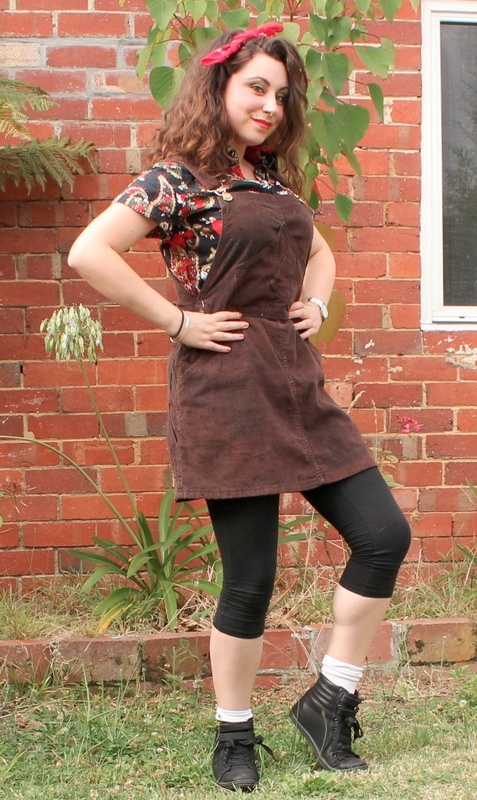 I wore a paisley bandana in my hair, a paisley shirt, 3/4 leggings, a cool courdroy overalls dress, white slouch socks and black ankle sneakers. So 80’s! Radical man! Aerobics – lots of fluro, slouch socks, side ponytails and, if you’re daring, lycra bike shorts with a leotard over the top! 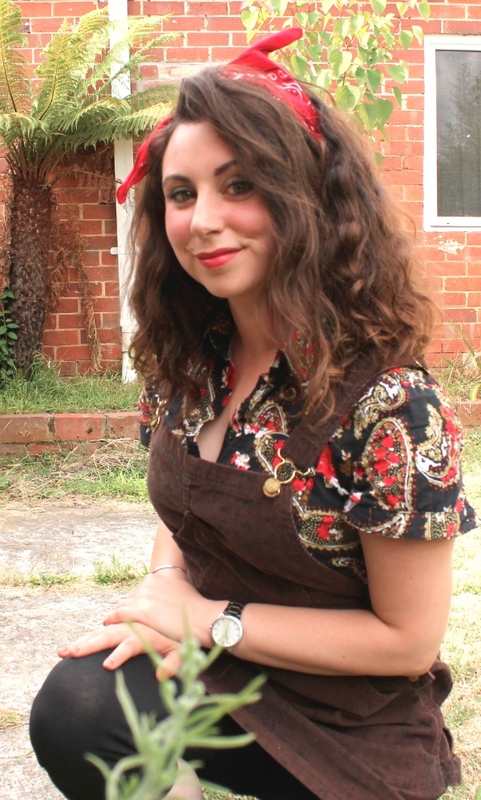 Prom – Go to an opshop and pick up a taffeta, big shouldered 80’s party dress. Office – You need a powersuit! Shoulder pads, square toed and heeled shoes and loosely brushed curled hair with a rounded fringe. Don’t forget to add a brooch to your lapel for extra style points! 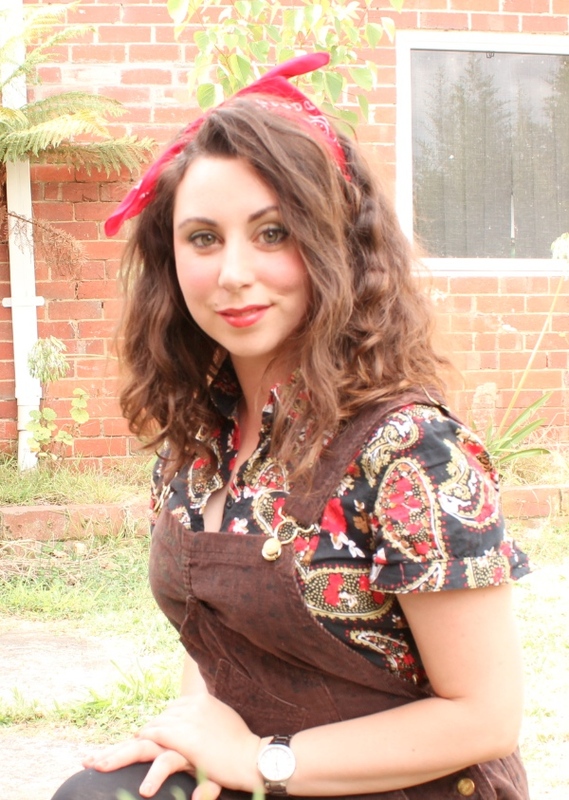 Character – Pick a character from your favourite 80’s movie or a musician. Madonna is an easy one with fingerless gloves, long necklaces, tank tops and a ruffle mini skirt. Adam Ant, George Michael, Michael Jackson or Maverick are some good options for the guys. What will you wear to your 80’s party? Let me know if this tutorial helped you! I wear eye liner and mascara every day as part of my usual beauty routine. 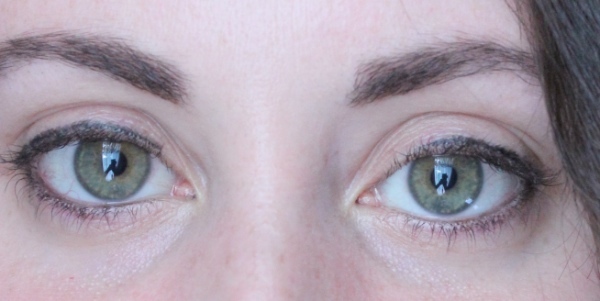 I’m lucky to have thick long lashes naturally, but I still look quite different without some liner to enhance my eyes. When I was in America this year I spent some quality time at Sephora and tried a few different eye liners. 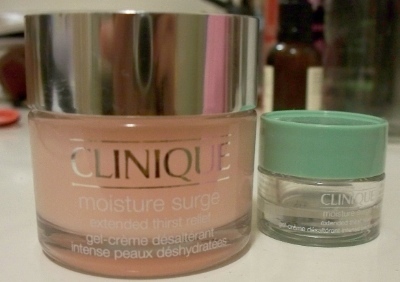 I was using Clinique Quickliner Intense at the time and considered buying it again because I liked it and it was cheap at Sephora, but I decided to try something new. I gave the Marc Jacobs eye liner a whirl on my hand and really liked it but the sales lady told me that she didn’t think that was the best one and she has heard some bad reviews on it. She recommended Stilla Smudge Stick Waterproof Eyeliner. I’m really impressed with it at the moment! It has great dark coverage and is a soft and gentle to apply. 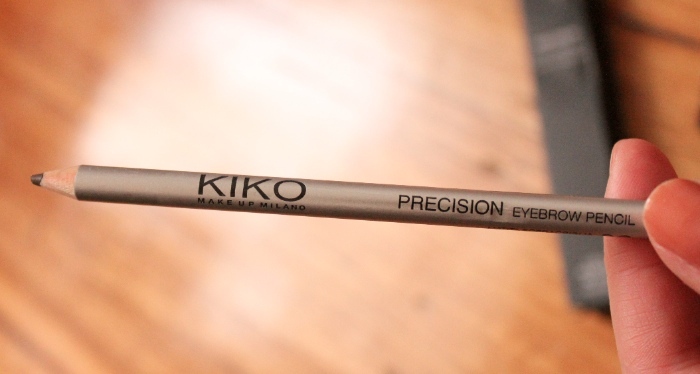 It is quite similar to the Clinique Quickliner but a litter darker and richer I think. It is a wind up stick that is easy to use, however one of the main things that bugs me about it is that it doesn’t come with a sharpener or a smudge wand. Both of those features are pretty standard in eye liners. 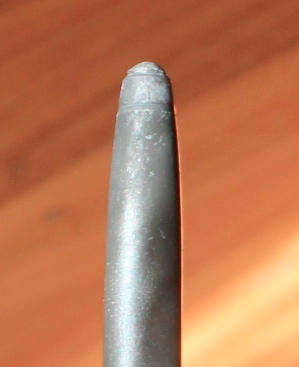 I would have really expected the smudge wand to come with this since it is a smudgey pencil! 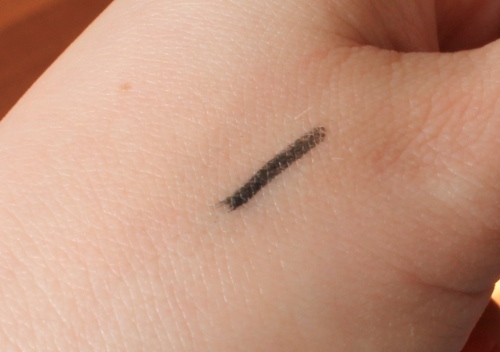 Not having a sharpener is also annoying if I want to draw wings on my liner – this just makes it short, fat and stumpy. You can see in this photo the beautiful dark line it gives. 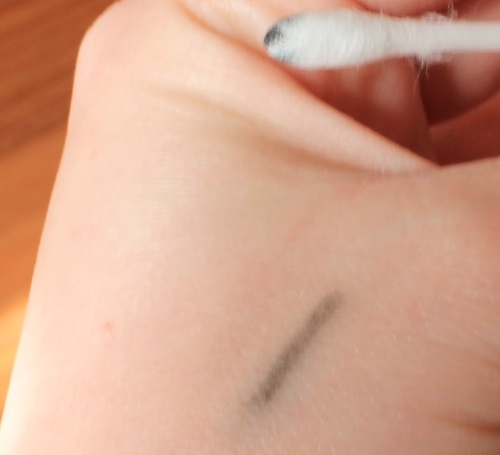 I usually just draw it on top of my lash line, however you could try and smudge it with a cotton bud which kind of rubs it off (not the same as a smudge wand so you could grab a cheapy eye pencil from priceline to get a rubbery smudge wand if you wanted it instead. While it says it’s waterproof, I find it really easy to get off with my normal eye make up remover. As you could see in the dry cotton bud swipe photo above, it rubs off fairly well too, even easier with water of course. Although, if you were crying or took a bath, it wouldn’t budge from your eyes unless you wiped it with a tissue or your hand. 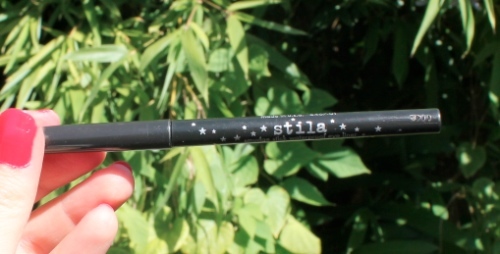 I really like the Stilla Smudge Stick as well as the Stilla liquid eyeliner (that I will write about eventually) and would happily purchase again. You can purchase Stilla Smudge Stick Waterproof Eye Liner in Australia from Mecca Cosmetics for about the same price as Sephora in USA – about $26. I’ve been blogging for about 4 years now (oh my gosh time goes so fast and I remember trying hard to think of a name for this little blog and the handful of supermarket beauty products I had at the time to review and tutorials I wanted to do. Now, all these years on, I have had the opportunity to try all kinds of products. Many of which I write about on here, and others that don’t cut it or I haven’t found the time to write about yet. So, I wanted to go over some of my old posts and pull up a few that detail products that I have fell in love with as I have used them over and over. I use this every single morning after I wash my face. It absorbs so quickly and I can put my foundation on right over the top. 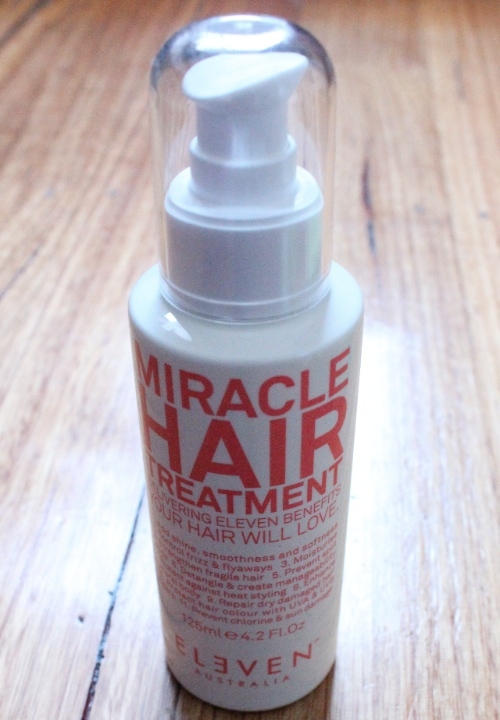 This really is Miracle Hair Treatment! After washing and towel drying my hair, I put 4 pumps of this creame in my hair and comb it through with my wide tooth comb. The power of this treatment is really visible when you heat treat your hair. Using my GHD straightener and this bottle of magic, my hair becomes soooooo smooth and shiny. I always get compliments! I use this product once a week and my skin really enjoys it. It comes with cleanser, eye cream, exfoliant, hydrating mask and SPF 15+ face cream. I’ve run out of the masque that came in the box (they only give you a small sachet of that but all of the other products are generous), so I just use Dermatalogica Skin Hydrating Masque. This kit is the perfect Christmas or birthday present. 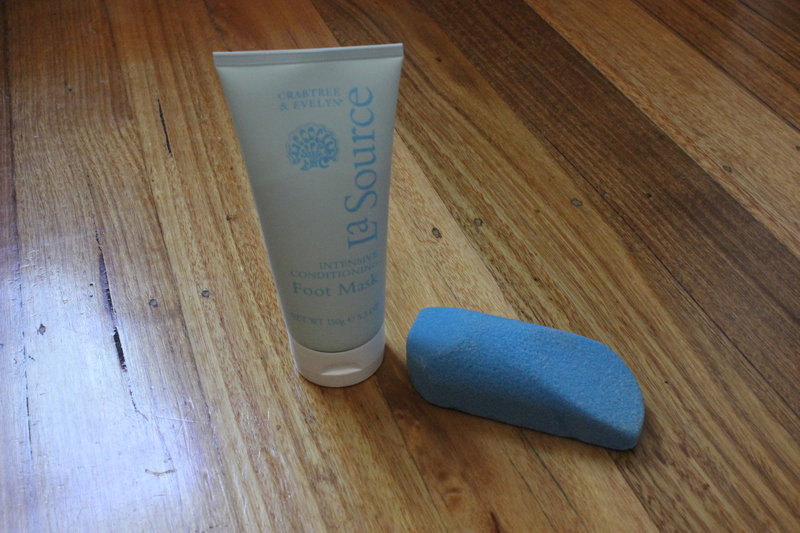 I love my Body Shop Foot Pumice and also the Crabtree & Evelyn La Source Intensive Conditioning Foot Mask. The dry heat and sandals play havoc on my feet making them rough and dry so it’s important to keep them nice and neat and conditioned. I have pointed a few of my friends in the direction of this mascara and they love it as much as I do. It comes off with water in little tubes and gives beautifully long separated lashes. Give it a go! 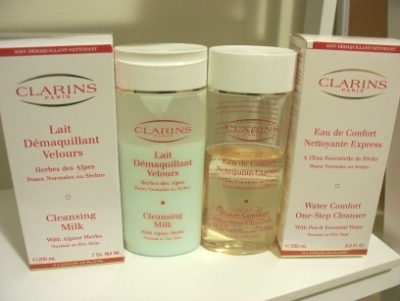 I have been using this cleansing system for a few years now and I have been happy with it. I also really like the cheaper Boots alternative. I really do love this super easy nail system! Nails will last a week at least and they are nice and shiny and hard. You just need at least half an hour of free time to sit still and do them without smudging them. So many great colours too! So there you have a it! 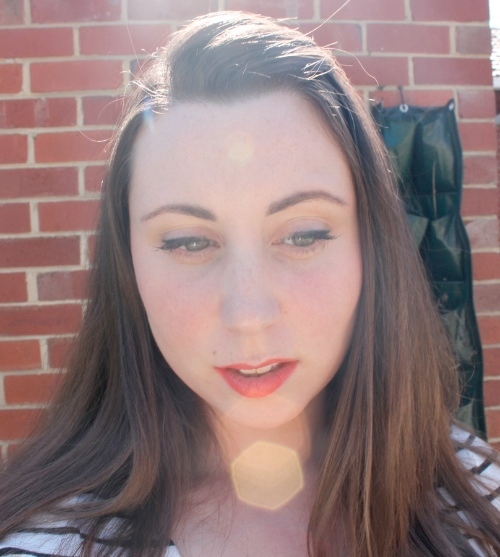 A quick summary of some of my favourite beauty products. What are your top beauty products that you can’t live without? After a long week pounding the pavement in sandals with the blistering sun drying out my skin, I love nothing more than pampering my feet. I do this around once a month, especially in hot weather when my feet are a little sticky in shoes or dry from walking in open shoes on pavement. I’m really surprised how much damage that can do to my skin actually! I set out a towel and get a bucket of warm water and then I apply Crabtree & Evelyn La Source Intensive Conditioning Foot Mask. I seriously LOVE this stuff and briefly spoke about it in my foot care post last year (I’m seeing a trend). I rub the creamy mask all over my feet and it smells like magical peppermint. Peppermint cools and deodorises. 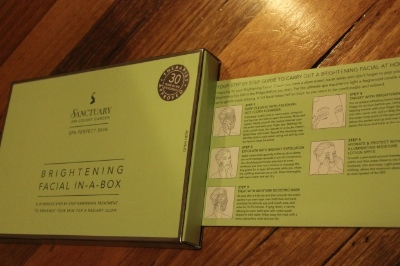 The Crabtree and Evelyn box comes with 5 sets of spa booties (basically thick plastic sleeves for your feet). I put them on over my masked up feet and wait 20 minutes (enough time to watch an episode of Portlandia!). 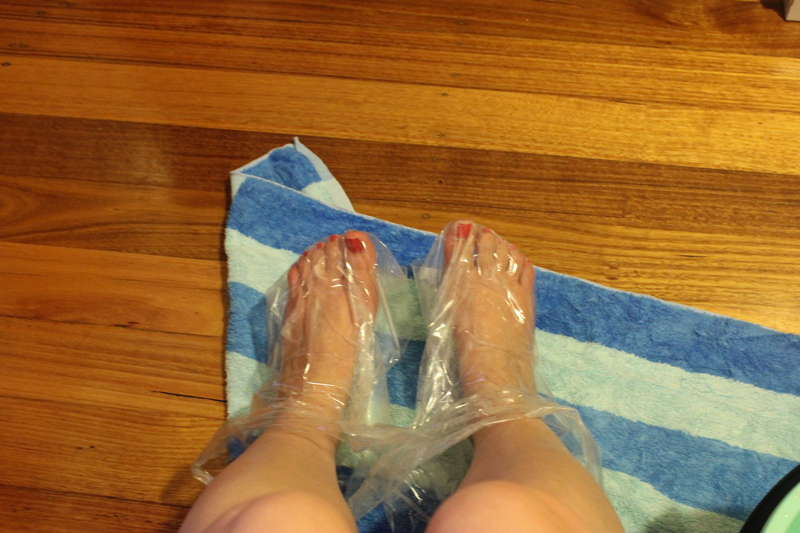 Then it’s time to take off the booties and rinse these tooties in a warm bucket of water. I love how instantly soft and smooth my feet feel! I then get my awesome Body Shop blue foot pumice and scrub and scrub the dead skin off of my feet. Ohhhh yeah! I could practically be a foot model after this treatment! Have you tried the Crabtree & Evelyn Foot Mask before? If you love sweet smelling, hydrated and smooth feet, you’re going to love it as part of your beauty routine. 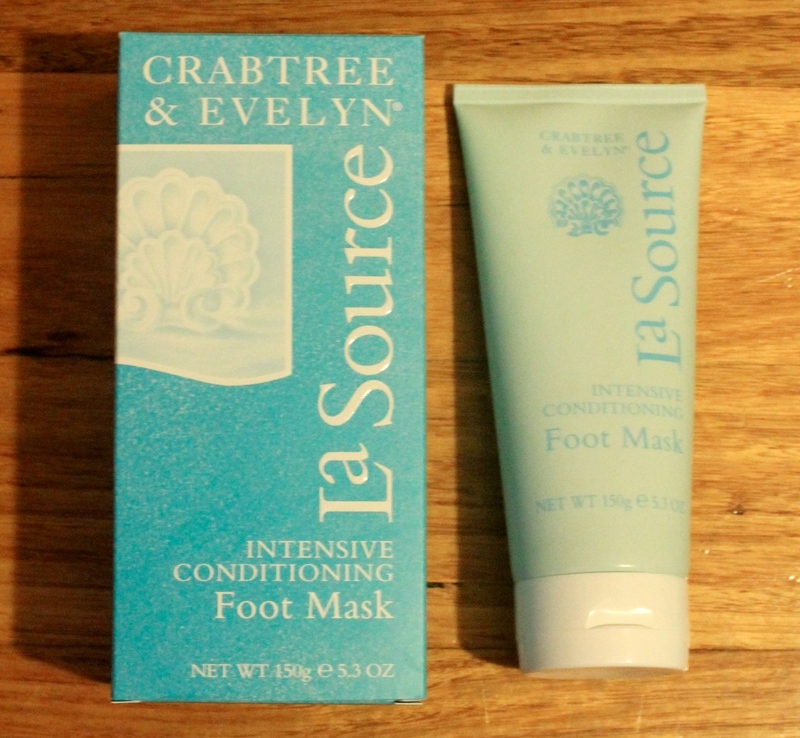 The Crabtree & Evelyn La Source Intensive Conditioning Foot Mask retails at $30 and will last you ages! Regular exfoliation is so important for clear, smooth skin. I usually use a gentle beaded exfoliator but I have been told by some skin care professionals that I should use a fruit acid exfoliator for better results on my skin. Maskd sent me some samples of their Green Mask that is made with natural ingredients here in Australia. It is designed to soothe damaged skin, reduce scarring, allow natural oil flow, moisten dry skin, cover blemishes and improves application of makeup. In my experience, you only need a thin layer of the mask to do a great job. Clean your face with water or remove your make up. 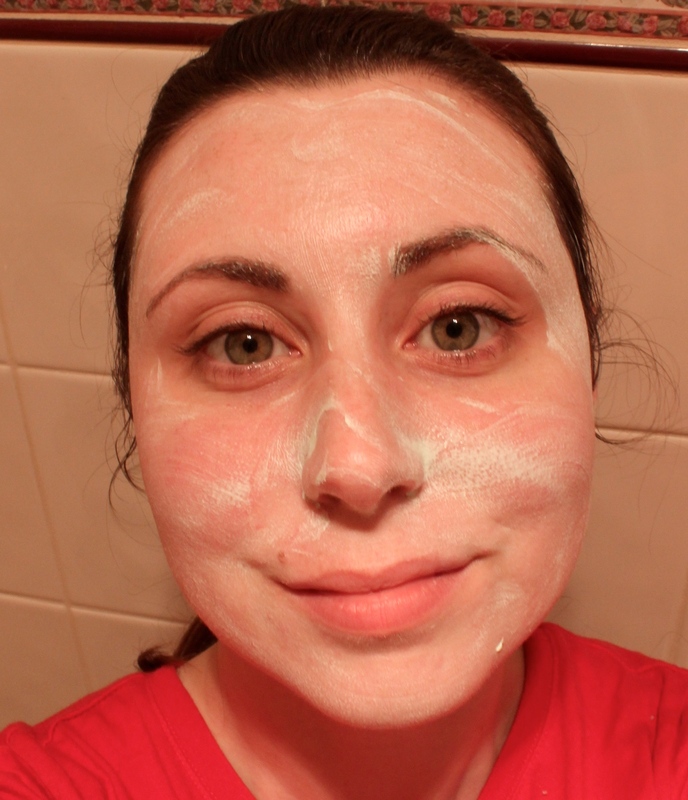 Put a small amount of Maskd on your face and avoid eye areas. See my photo below. Wait 10-15 minutes. You will feel a stinging sensation. Apply your own basic moisturiser and feel nice smooth skin. You will feel the mask stinging your skin a little bit but it’s pretty mild. Any fruit acid exfoliator will give you a little buzz as it gently chews up the dead skin and damaged surface cells to expose the newer, healthier layer of skin underneath. I thought Maskd worked well and felt comfortable using this 2 times a week even with my sensitive skin. The website says its like a mini microdermabrasion, however I felt it gave me the same results as a normal fruit acid or beaded exfoliation. The Green Mask by Maskd can be found at leading beauty salons or you can purchase online at their website. If you have been following my blog for a while you’ll know I’ve tried professional Gel Nails a few times and loved the shine, colour vibrancy and the wear but didn’t like the eventual chipping, wear on my nails and difficulty to remove. I’m a bit excited to have been introduced to Sally Hansen Miracle Gel nail polishes that you can do at home without a lamp and you can remove them easily whenever you like with normal nail polish remover! I know! Amazing right! So how does it work? Mega easy! You need 2 things. 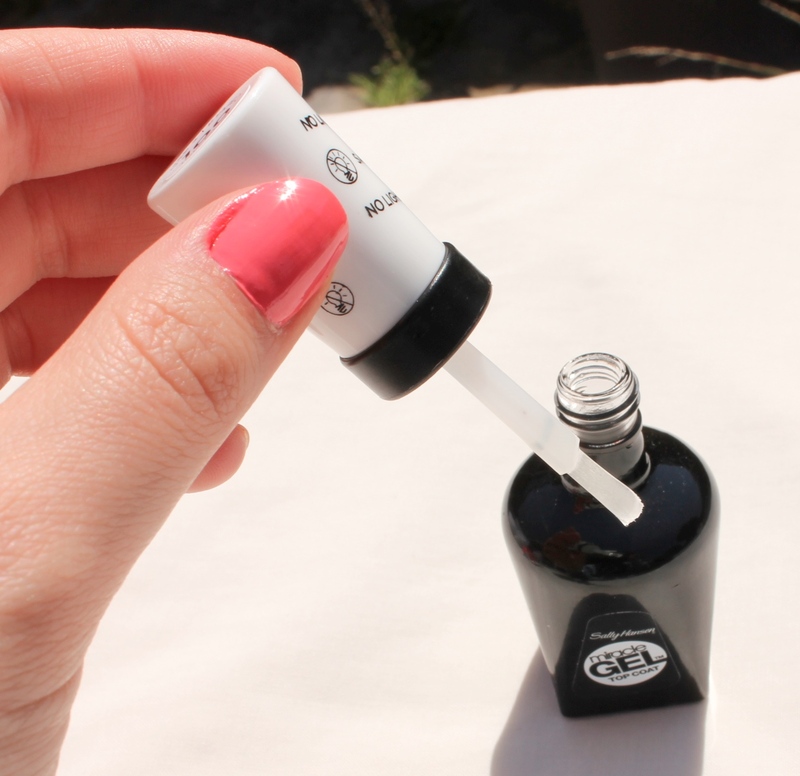 The Sally Hansen Miracle Gel Top Coat – in the black bottle. Paint on 1 coat of the Sally Hansen Miracle Gel Nail polish and let it dry. Paint on another coat and let it dry for a good 15 minutes. Paint on the top coat with nice generous brush strokes. 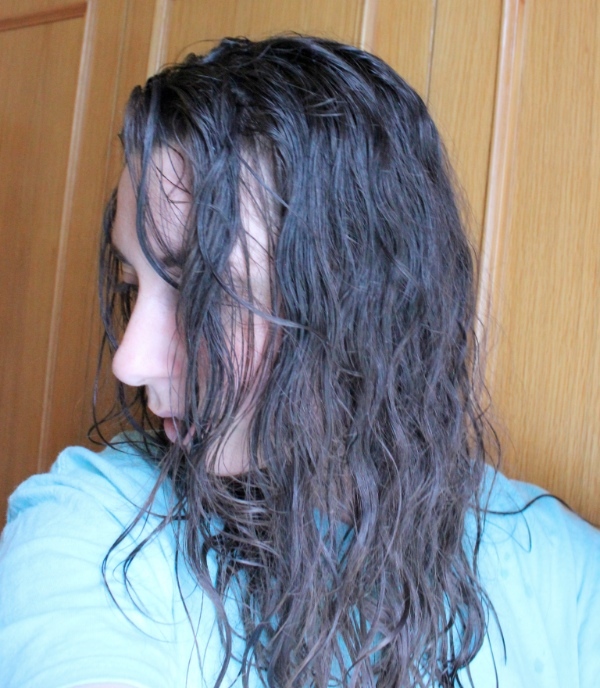 Leave to dry in natural light (sunlight will help make it cure faster) for about 15 minutes and you’re done! I love the wide brush that these polishes come with. By far my favourite brush of any nail polish I have ever used I have to say. Really easy to control and good coverage. 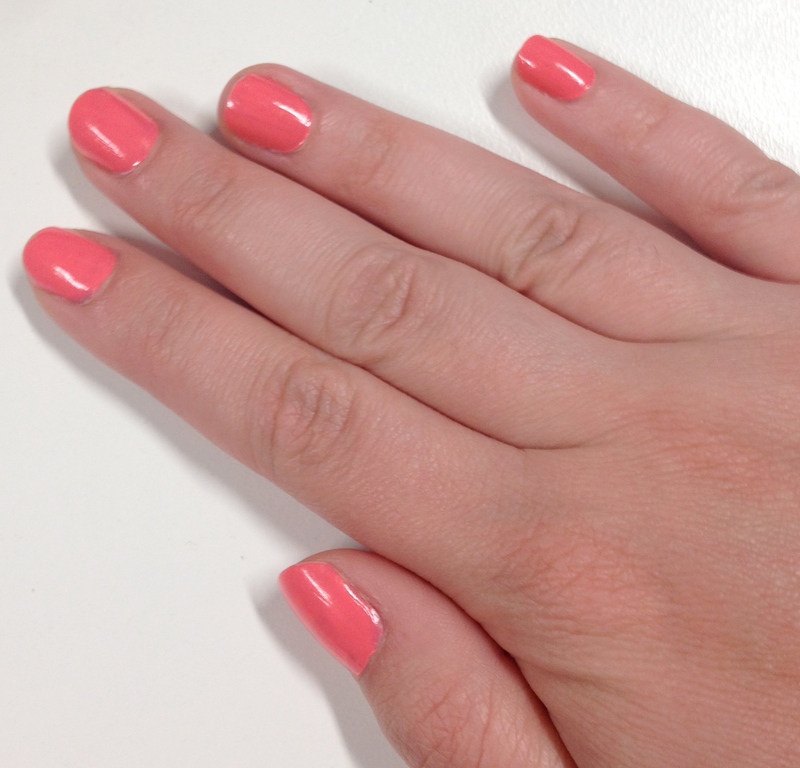 There are 18 colours to choose from and here are the 5 I trialled. The polishes are meant to last for up to 14 days but I found that at 7 days it was ready to take them off. It was mainly my busy typing pointer finger that copped some chips, but the other fingers held out reasonably well. Of course nails grow in a week, and so the bottom get a little gappy then it’s time to re-paint. 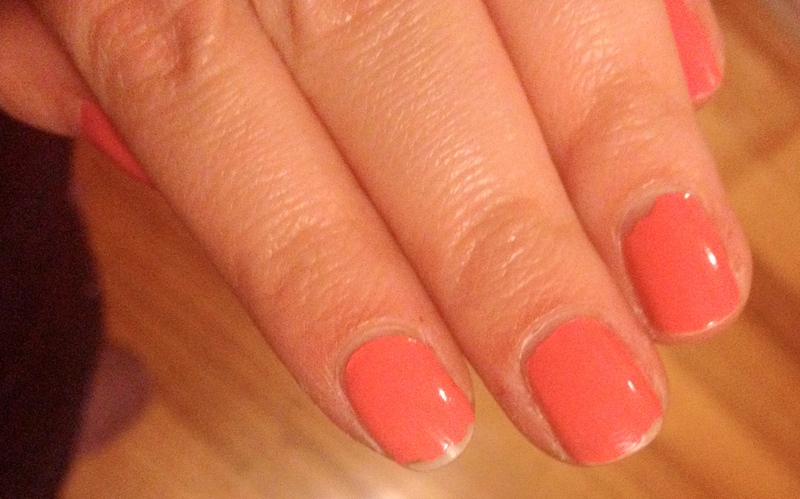 Since you can just use normal nail polish remover, it’s easy to do. I honestly am very impressed with the wear these polishes provided across the week despite the little chips. I tried a few colours for a full week each to give you a very trialed and tested honest review. 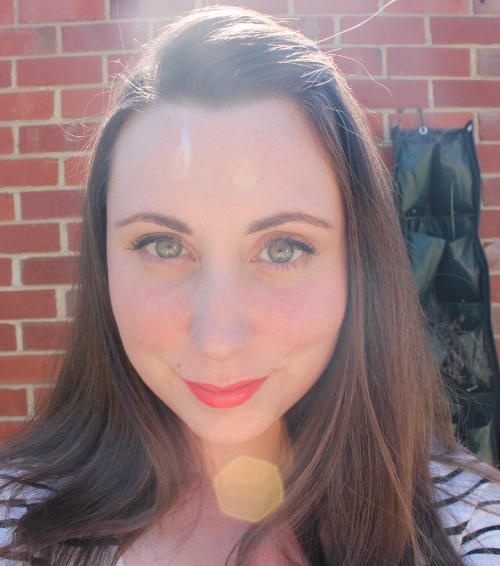 I found that the Pink Shock Wave colour gave the best wear…. but that was the third one I trialled so I think I had mastered the application by then. The key is to not skimp on the polish when you’re painting otherwise you get streaks. 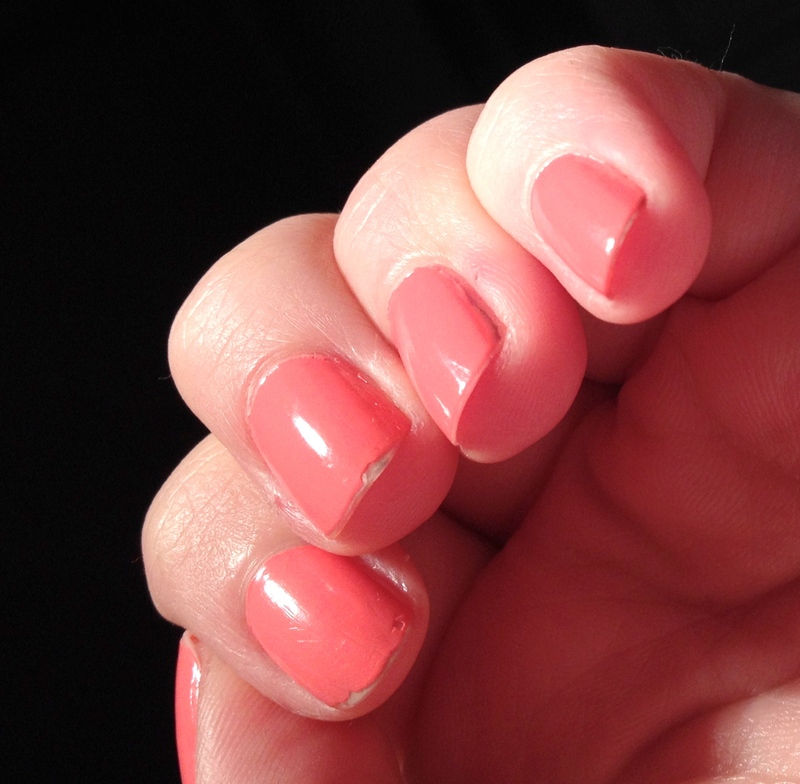 7 days of wear with the tip chips forming in my most used fingers and in places where my nail tends to split anyway. I have been raving about this polish to my friends during my trial. I just love the gloss my nails have, the extra strength it gives them and the wear of the polish. I know they are called “gel” nails, but I don’t know if that’s really what I would call them. They don’t last as long as real gel nails and aren’t as rounded, smooth and tough as professional gels. If you have ever had professional gels, you’ll know they are hard as rock and you can rub them against each other and they make a really hard tapping noise. For the Sally Hansen Miracle Gel, I would just say the polish is long lasting, tough and glossy nail polish, which isn’t a bad thing…but not really the same as gels. I’m really excited to continue using these polishes and getting a full, confident week of wear out of them. You can purchase Sally Hansen Miracle Gel Nail Polish in Australia from Chemist Warehouse, Priceline, Target and independent pharmacies for $16.95. You can also get special launch duo packs with a colour and the top coat for just $19.95 for a limited time. The sun is shining through the curtains, your fridge is empty and the coffee pangs have hit on a lazy weekend. You pull on your favourite jeans or dress and head out to pick up some fresh supplies. 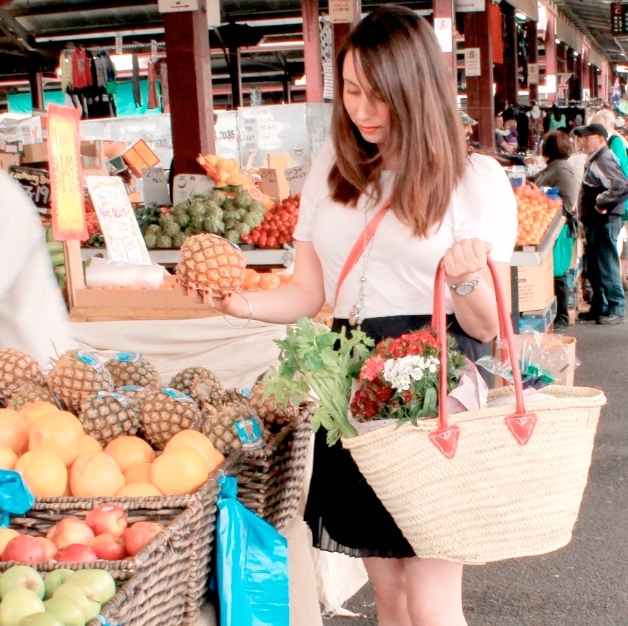 There are so many beautiful fresh food markets in Melbourne and around Australia. We are such a blessed country aren’t we! I love the vibe of markets and seeing people meeting the growers and mingling with the community. It’s almost as good as going on holiday and I feel like I’m in France or Italy again. 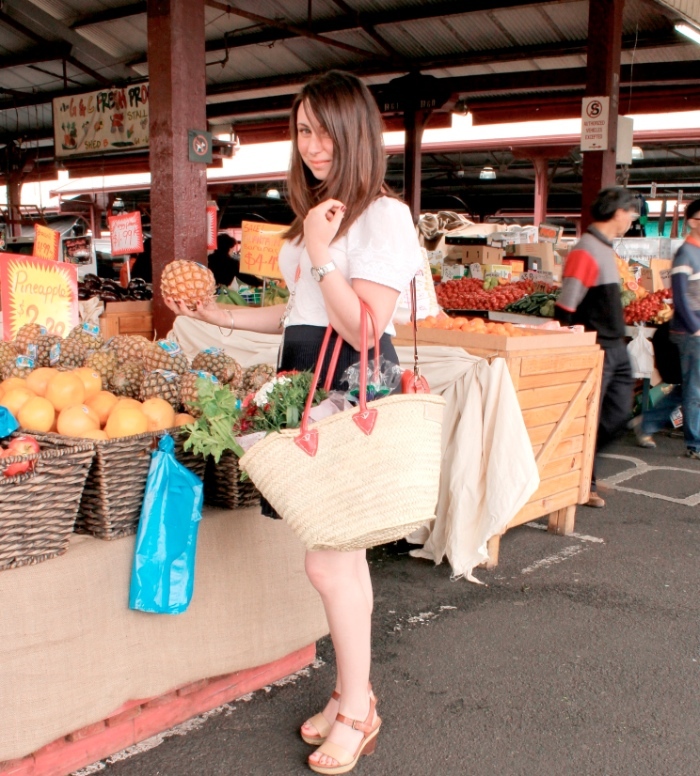 When I go to the market, I usually struggle to carry around my many bags with bits and bobs that I pick up. I’m a sucker for a big fresh bunch of celery, so juggling that with cartons of eggs, flowers, cheese, sausages, strawberries, bread and fresh local honey means that my hands are a wreck from my shopping bags digging in. Plus, egg cartons and heavy things never sit well in bags. Sometimes a market trolley is really a pain to get through busy crowds or in markets that are on gravel surfaces (Gepps Cross Market in Adelaide comes to mind). 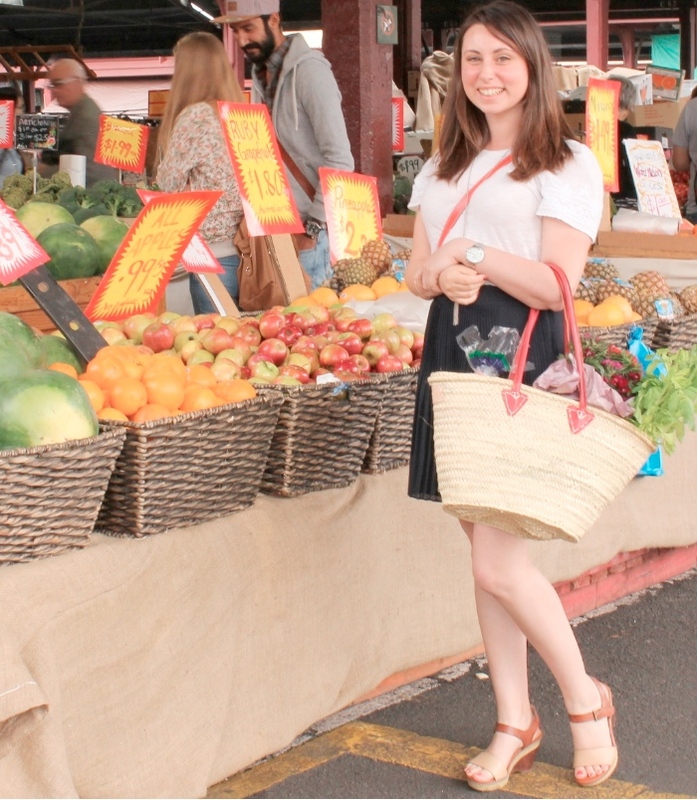 I have found the answer to making market shopping more comfortable, practical and beautiful – A Market Basket! 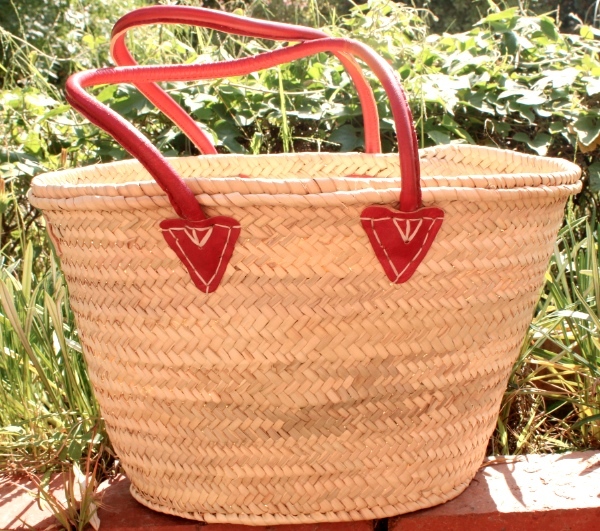 With sturdy and very soft leather handles, my Market Basket Co. french-style basket is made from light hand-woven palm leaves and is very strong. The Moroccan leather handles don’t dig into my arm or hands, I can see everything that is in my basket at a glance, and navigating the bustling crowds is a breeze. Plus, my flowers and celery don’t get squished like they do in bags! I would recommend putting an old plastic bag at the bottom of the basket to protect it and keep it dry when you add your fresh fruit in… particularly celery! 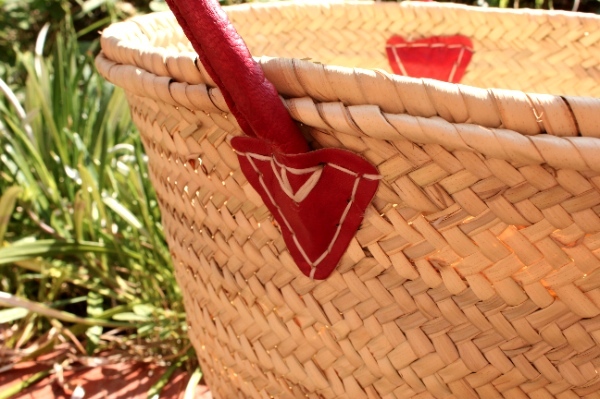 This style of basket is imported by the Market Basket Co. from Morocco and the style has been used in the Mediterranean for hundreds of years. So chic! They have lots of other styles and colours to choose from on their website or from Market Basket Co. stockists around Australia. I can vouch for the fact that this basket turns heads, because a man told me I looked very beautiful as I was shopping at the market. I bet nobody has ever been told that while toting a squeaky market trolley! Ha ha. My basket is the Mia Basket in Raspberry $49. I absolutely adore it! It’s the perfect birthday or Christmas present for someone who has everything too. 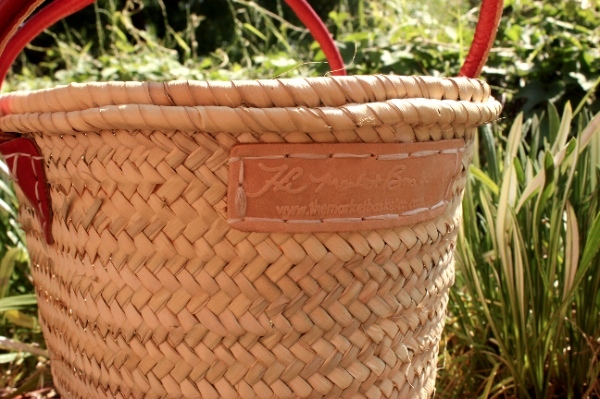 The Market Basket Co import a wide range of baskets to use for markets, storage, picnic, hampers and the beach so check out the range of high quality classic woven baskets from The Market Basket Co. and join them on Facebook for market updates and competitions. My beautiful basket was provided to me for review.